We cascade Apple Software Update Server (read: ASUS), from a Master Server on our WAN as per the post here. So once an update is downloaded to the Master ASUS, the Replica’s should just replicate the updates. 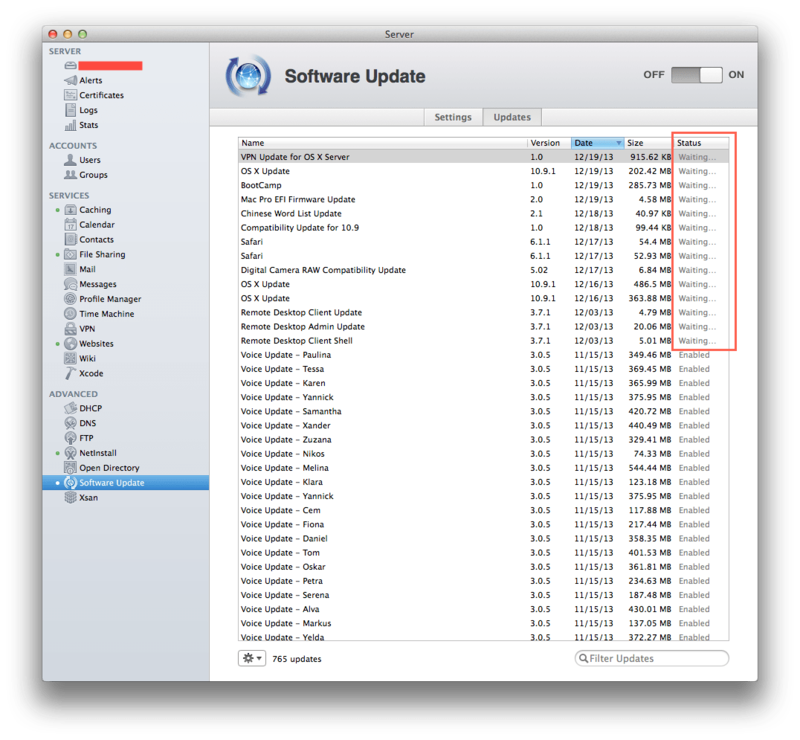 Dec 22 23:28:04 mac-server.fqdn swupd_syncd <Warning>: There is insufficient free space to host additional downloads. The below script, simply does what is mentioned above. With the variable at $4 being the percentage of the system volume your happy to have left. For me, I left it at 5% as these Replica’s are only for client management via ASUS, NetInstall & CasperShare.